Y’all have been busily traveling the 50 states with the Flat Littles and I’m so grateful! Please allow me to catch up with the posts, but do keep the pictures and travels coming. I love sharing them as we all learn about the 50 states. 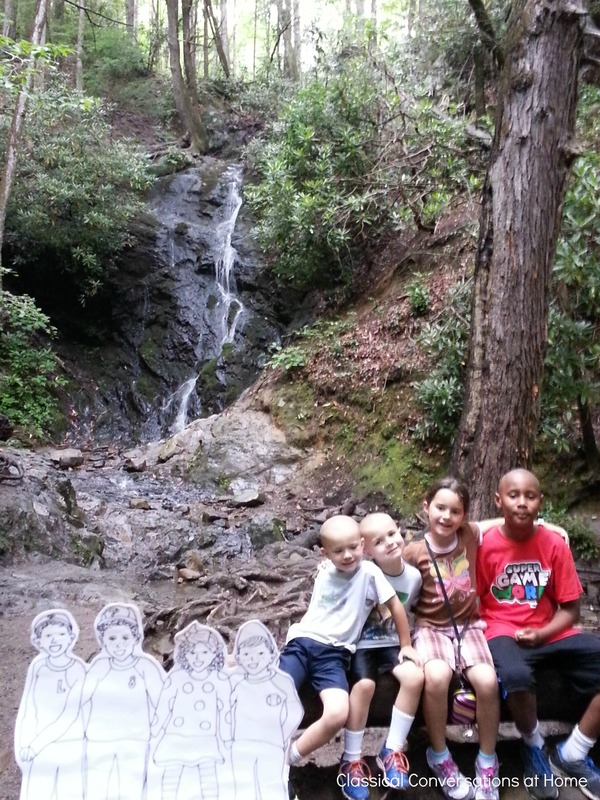 For the next in the series, here’s a picture of the Flat Littles who tagged along with the Hogans to lots of fun stops, including this one in the Smoky Mountains (a subrange of the Appalachian Mountains) in Tennessee. 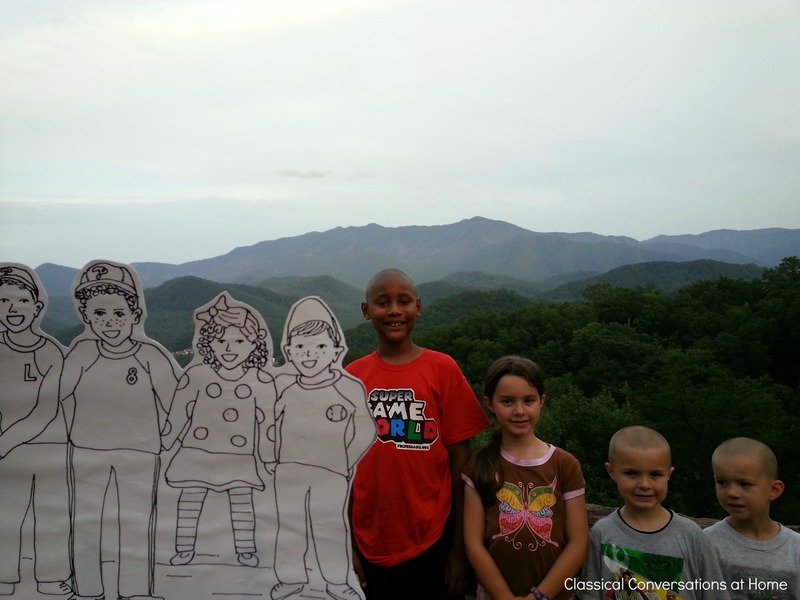 The Hogans saw the Smoky Mountains up close and from an overlook. Check out Becki’s post on their trip for more details and some funny travel moments, including their trip up the Gatlinburg Space Needle.